Talk charge is an online platform which offers its customer with options of online recharge, bill payment and gift cards. When you are running out of your balance Talk charge is the best option to go for. You can pay you mobile, gas, electricity and landline bills apart from this you can get your mobile, and DTH and Data cards recharge get done.Payments on this online platform are safe and secure. It offers its customers the secure payment gateways some of them are VISA, Master card, maestro card, American express and net banking. Their main aim is to offer its customers with best deals at affordable range so grab your chance and take benefits of its exclusive deals and offers. However, Talk charge aims to connect with all mobile subscribersbut at present it only deals with some of the subscribers that are Aircel, Airtel, BSNL, Tata Docomo GSM, Idea, T24, Reliance, Telenor, Vodafone, MTS, MTNL, Videocon Mobile, Tata Docomo CDMA. Discounts are raining on medlife where you get up to 40% off on medicine orders. Also get 20% instant discount on payment via Talkcharge. Offer is valid till 30-12-2018. Hurry, Order now! Craving for Pizza? Order your favorite regular size pizza with price starting at Rs.99 and get Rs.20 Talkcharge cashback on payment with Talkcharge. Don't miss this deal. Visit the store and get 100% cashback on your first recharge and bill payment. Offer is valid on minimum transaction of Rs.10. Apply the given promo code at final payment. Coupon code is valid for new users. Offer can be used only once per user. Visit the store and get 100% cashback on your first recharge and bill payment. Offer is valid on minimum transaction of Rs.10. Cashback is fixed at Rs.10. Coupon code is valid for new users. Offer can be used only once per user. Grab Rs. 888 cashback when you add minimum Rs.4888 or more. Use the given coupon code at final payment. Offer is applicable once per user per Debit Card, Credit Card or Net Banking. Now avail up to 500% cashback on recharges and bill payments. Grab the coupon code at final payment. Minimum transaction of Rs.30 is required to avail this offer. Coupon code is applicable once per user. Cashback will be credited within 24 hours after the successful transaction. Earn and save : Life has become easier and simpler with India transforming itself into a digital economy. You can make payments and fulfill all your needs even while you are on the go with several payment gateways like Talkcharge. You can conveniently recharge your mobile, DTH, data cards, order food, shop, book your travels with this online payment platform. You can find every leading telecom service provider like Airtel, BSNL, Reliance, Tata Docomo, Idea, Aircel, Vodafone, etc. here on this site. You can earn and save with every recharge through their cashback offers and especially with the talkcharge add money offer.With a few simple clicks you can enjoy unhindered services from leading brands even while you are on the gowith this recharge website. You are guaranteed to get a cashback every time you pay through this recharge platform that is credited to your wallet and which you can redeem for additional discounts in future payments. This leading recharge website in India aims to make it easier for users to facilitate payments of all kinds through a plethora of services. Here are some of the services you can look forward to with this recharge brand. Mobile Recharges - It is essential for all to recharge their mobiles with prepaid connections irrespective of the network you are using. You can especially check out talkcharge coupons for airtel if you have an Airtel connection for some extra savings and even get top-up recharges for your mobile. DTH Recharges - You can ensure non-stop entertainment for yourself with talkcharge promo code for DTH recharges. You can find leading services like Dish TV, Tata Sky, Videocon, T24, Telenor, Reliance Digital TV, Airtel Digital TV, Sun Direct and many others. Pay Bills - You can pay all your bills including post-paid connections through this recharge website. It does not matter which service network you are using, you can pay and save with talkcharge offer today. Other services - You can also pay for various other utility bills like electricity, data card, landline phones, gas, etc. from this payment portal. Get Gift Cards - You can buy e-gift cards from different categories like fashion, travel, movie show and electronics as presents for your near and dear ones. Using online coupons is the best way you can save money with every online transaction. It is quite easy to use these online coupons. Read on to know how you can use coupons from here to save on all your bills. Search for Talkcharge coupons on your favorite search engine. You will see several coupon sites with countless offers. Go through various offers and pick the one that best meets your needs. You can also go directly to the payment site and get a talkcharge sign up offer if you are a new user. If you are an old user, you simply need to sign in. Copy the coupon code and as soon as you click on the offer, you shall be redirected to the company website, where you have to make the payment. You have paste the copied coupon code at the time of checking out to avail the offer and it is as simple as that! However, remember to check the validity of the coupon while checking them out! Online is the way forward – whether it is paying utility bills, recharges, entertainment or shopping. You can book your travel tickets, watch your favorite film, and attend a sporting event in your city, shop for cosmetics and fashion simply while you save big money with Talkcharge offers. You can shop on all leading online stores like Amazon, Flipkart, Jabong, eBay, Myntra, MakeMyTrip, Zomato, KFC, McDonalds, TATA Cliq, Domino’s, Food Panda, OYO Rooms, Uber, Snapdeal, etc. with cheapest coupons that you can get here. All these offers are designed to impart rewarding online experiences to one and all. You can get cashbacks and get talkcharge coupons for old users as well as new. With most activities going online, there are several online payment platforms that help you pay with ease and convenience. However, with the Talkcharge app, you can get some additional benefits. Read on to know about them. Wide range of coupons - The recharge website has tied with numerous merchants to bring the best to online users. You can get access to limitless money saving coupons on wide variety of services for all your needs whether it is a mobile or DTH recharge, food, movies, travel, shopping or anything else and even get talkcharge coupons for new users. Easy refunds - You can get easy refunds in case of a recharge failure within 24 hours of making the payment without any hassle while using this recharge platform. 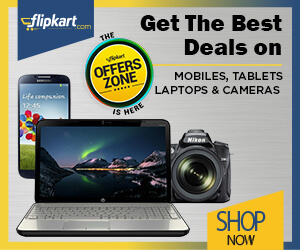 Special cashback deals - This is one of the most attractive features of this payment platform. You can earn good amount of money in the form of cashbacks up to 20% for almost every online transaction especially the talkcharge offers for new users. You are guaranteed minimum amount of cashback irrespective of the amount you transact on this platform. Secure payment gateway - This recharge platform is powered by a safe and secure payment gateway that protects users’ information, preventing online frauds. You can choose to pay through your ATM/ Debit card, Credit Card, Net Banking, Cash Card, etc. in the most simple and effective manner. You can fulfill all your needs through this convenient recharge website and in case of any issue, you can easily reach out at their customer care and expect them to get back at the earliest. Efficient customer care executives are available 24*7 to offer best services to users and help them resolve the problem.